I’m the client here, so I could really have some fun! 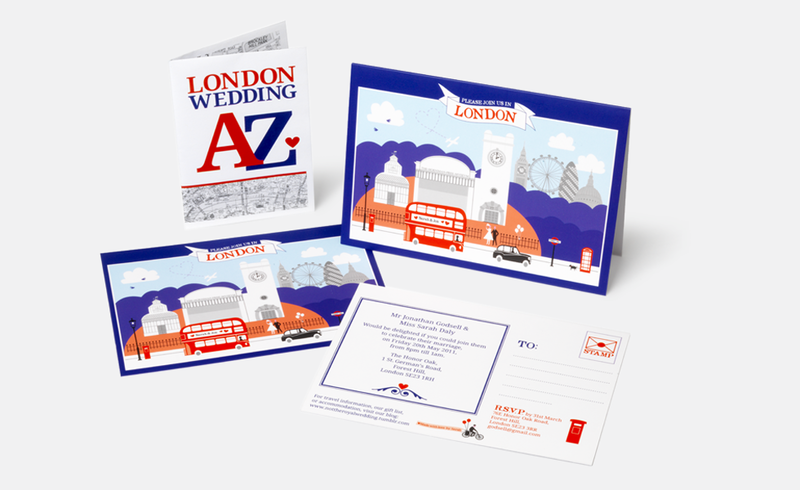 Considering my husband and I have spent most of our time together in the ‘big smoke’, it made sense to tie the knot there, and I really wanted to celebrate that with the wedding invitations. Hence, the London skyline, all illustrated by me – including our venue, The Horniman Museum & Gardens located in Forest Hill, South East London. As an added nod to the city, I thought it would be a nice touch to include a mini ‘A-Z’ map booklet to help people find their way there. 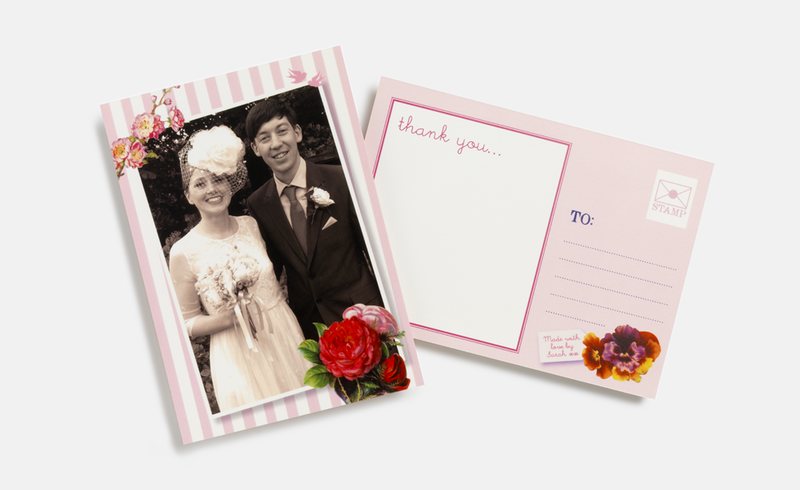 When it came to the thank-you cards, I went for a more vintage theme to match the styles and decorations on the day.